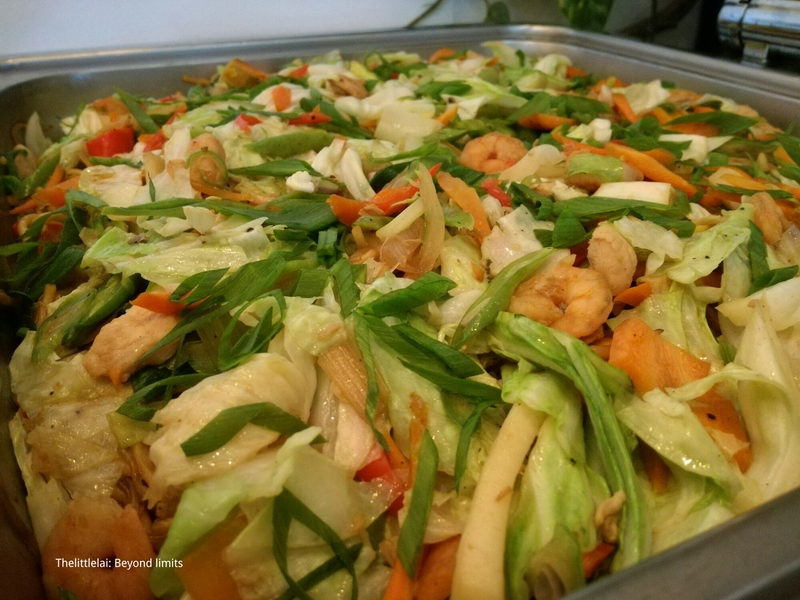 There are times when our tongue is then used by tasting a foreign cuisine and foods that we usually have it on our table, we certainly look for a food that eventually speak the essence of being a Filipino. In a bustling City like Cebu where everyone is constantly busy and always in a hurry, we tend to disregard the presence of our very own food, maybe because we got no more time cooking or finding those foods, especially the traditional Merienda in our home that we usually have it way back before. We all know that Cebuano has a rich food culture and with that, Sugbo owns a spread of traditional food that we really can be proud of. 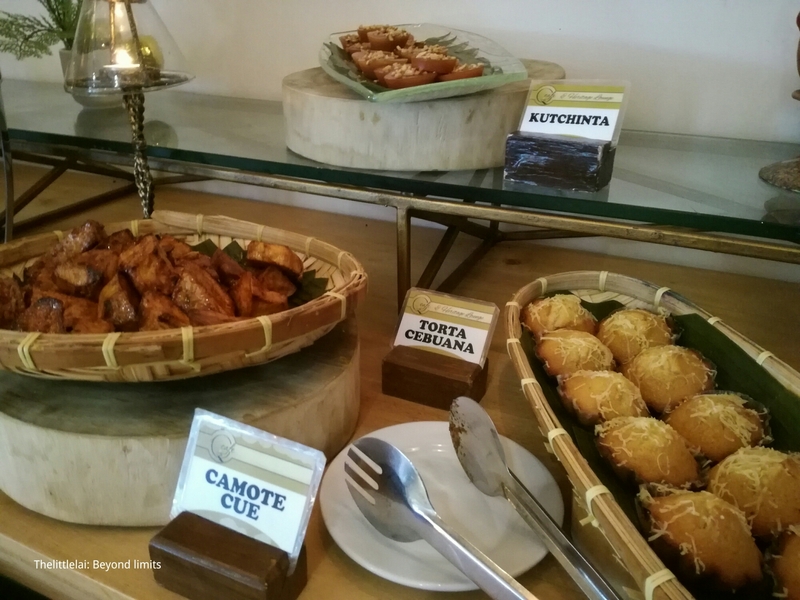 Just very recently, I was able to find out the cultural Cebuano traditional Merienda at Golden Prince Hotel. They provide a boatload of Merienda food that have satiated my crave for a traditional Cebuano Merienda. 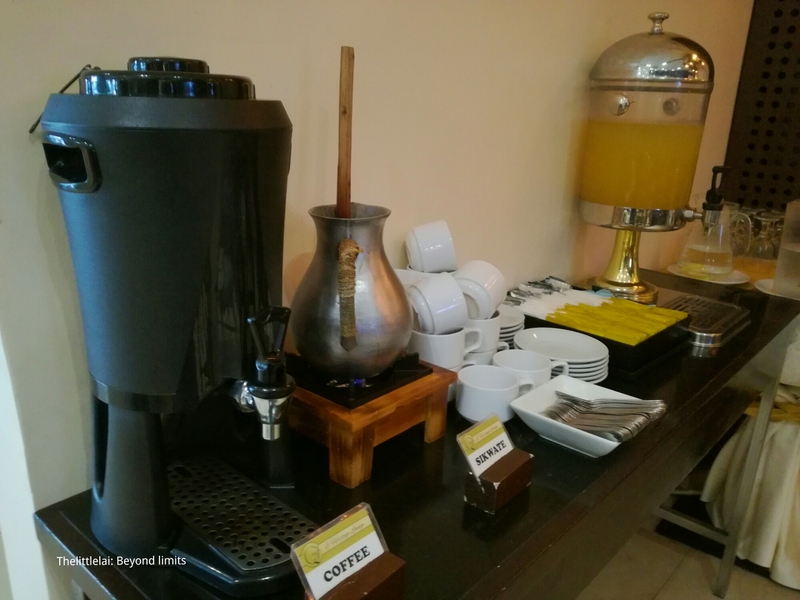 What earns it the best when you spend your time and try the traditional Royal Merienda at Golden Prince Hotel is the natural Cebuano vibes that gives you a true comfort and hospitality. Going here is only a few meters of walk from Ayala Center Cebu. It is located along the left side of the reception area of the Golden Prince Hotel. The place provides a good space to chill, there are well, garnish tables and the chairs is made from a beautiful adorned bamboo. The elongated table where they put all the luscious local Merienda’s and decorated in a well set up table cloth. I would really love to taste all the Local Merienda they offer, but I have limited stomach space so I only tried those that made my saliva drop. I filled my plate with Puto, Torta Cebuana, Kutchinta, Banana Cue and a local Hot chocolate drink or locally known as Sikwate. 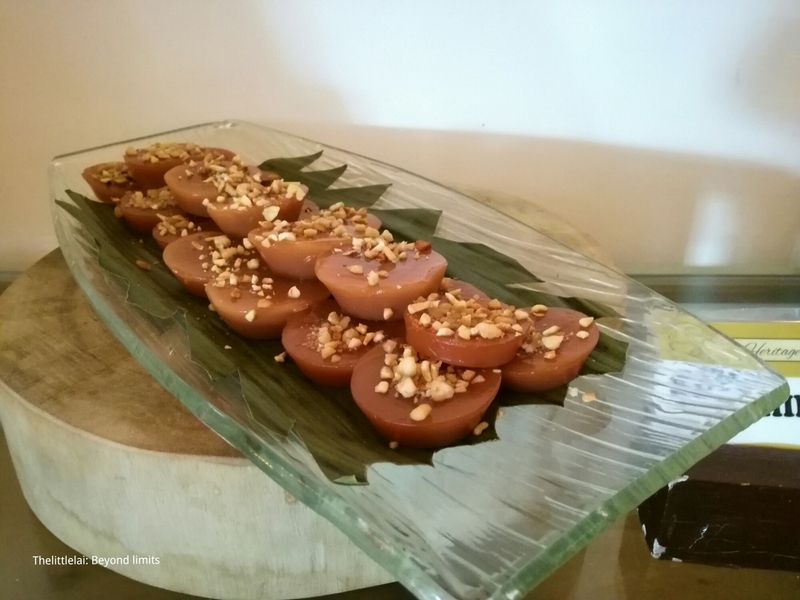 The Puto has a twist with a touch of a strip, slice of sweet mango and a presence of sugar cane. The Torta Cebuana is similar to a sponge cake, but it owns a small and very thin strip of cheese and a bit burn up on its side to get the perfect brown color. The Kutchinta is also a local food made from a tapioca flour and mix with brown sugar and they combine it with lye water to achieve the sticky and yet chewy when you have a bite with grated coconut on top. 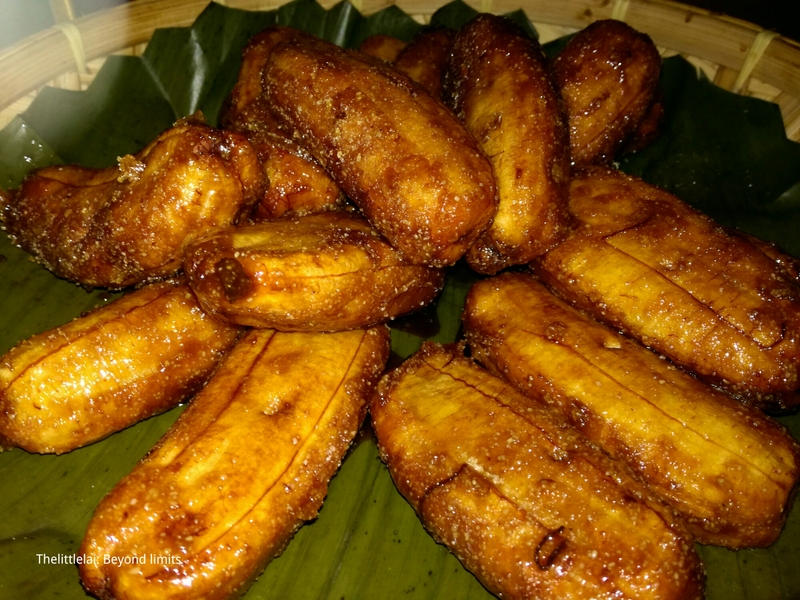 The banana cue is a fried banana from a well ripe banana and combine it with a brown sugar in the boiling oil. 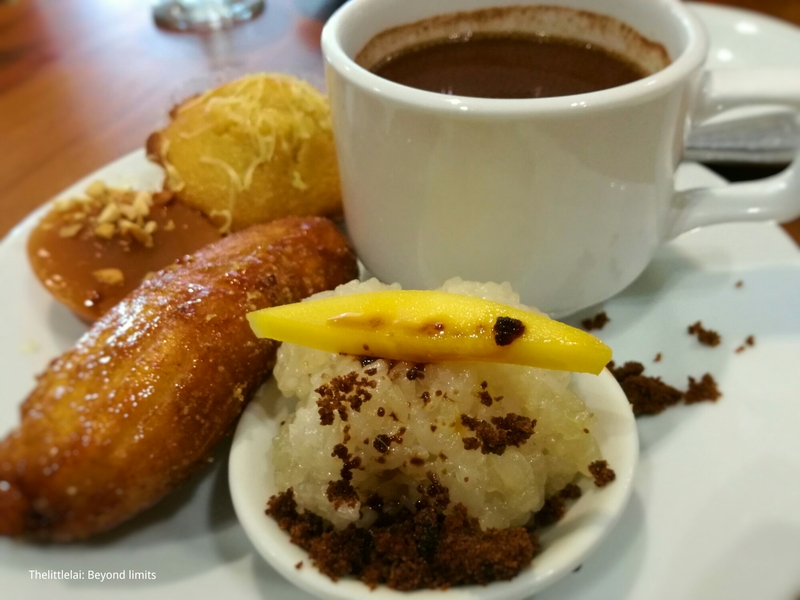 The local hot chocolate drink is made from a 100% premium Cacao beans and are being processed to form a thick coin-like shapes and that what they usually boiled to make a Hot Chocolate drink and this is best partnered with the rice Puto. 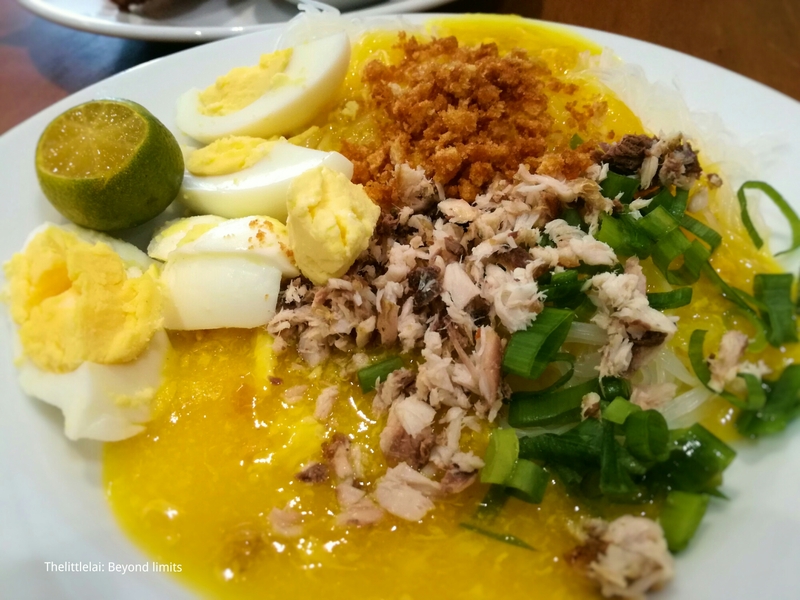 They also have a noodles kind of Merienda or locally known as Palabok. It is a boiled thin Chinese rice noodle with a special tinge of a local sauce. You can always make your own topping, there is fried garlic, strip chicken meat, spring onion, boiled eggs, Chicharon and you can also squeeze some lemon on top of it to make it more delectable. 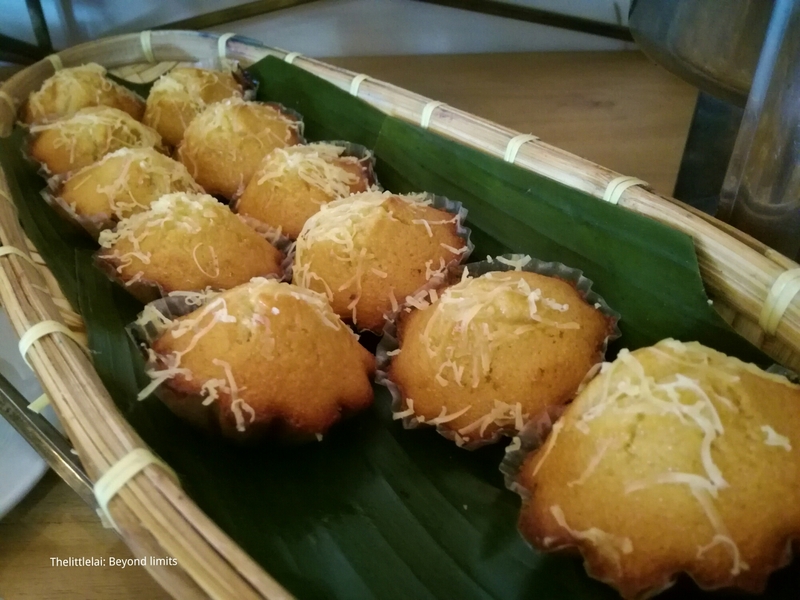 They provide a lot of different kinds of Local Merienda or locally known as Kakanin in (Tagalog), that eventually would replete your crave for a Local Merienda with a touch of a Cebuano way. They have Bam-I, a stew noodle that is blended with a local ingredients, a rice porridge or locally known as Arozcaldo, Maja Blanca, Puto Cheese, Camote Cue, Binignit, Taho and you can also have a cup of coffee and juice. 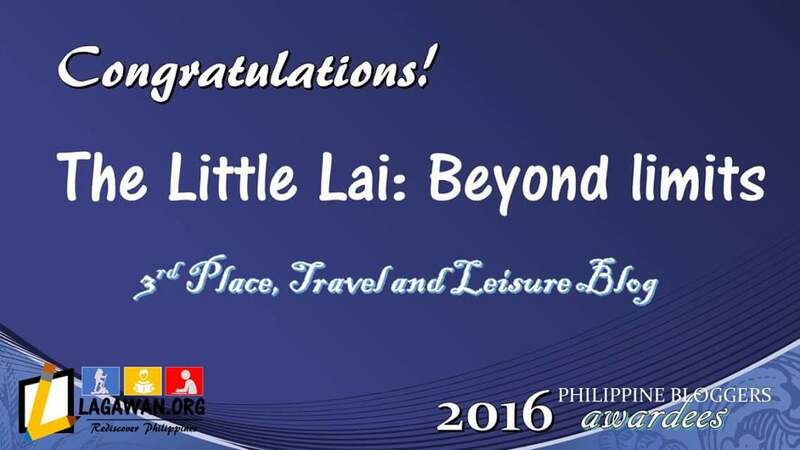 If you want a dependable place to try the Local Merienda food, then this place is something you should visit and try. 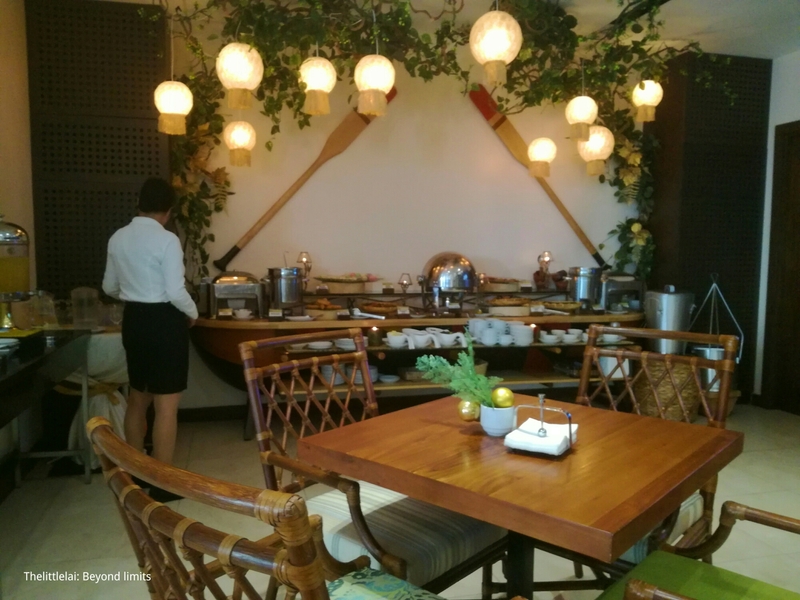 They offer a Local Merienda buffet at PHP228 from 2PM to 6PM everyday. They likewise have a reliable and fast internet connection that is a sure thing to make your Local Merienda experience complete. 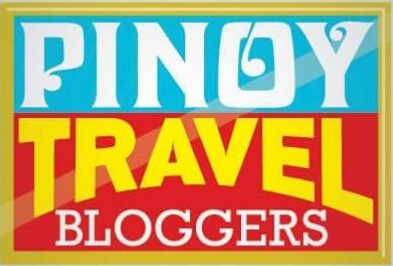 Next Post: Top 25 Philippines Travel Blog: Apparently, I’m on the list. Filipino merienda! The best in the world! Our favorites are the puto, sikwate, and the manga combination; it’s a perfect example of culinary counterpoint. Another favorite of ours is pancit palabok. The salty, shrimpy taste is totally mmmmmmmmm! I am English and live in England and yet very little of the food I choose to eat is what I would identify as being typically English, so I can relate to your comments. I mostly eat Indian and Thai food, but I have never tried anything like the Filipino food that you mention here. You’ve definitely inspired me to try it though and I will look for a Filipino restaurant, possibly in London. I am vegetarian and would be really interested to know what you would recommend I try for my very first Filipino dish? Do you have an absolute favourite? How I wish I could splurge there now! Such a lot of dishes. The banana fritters caught my attention, craving for it so strongly new. The deal seems good. this looks so delicious! 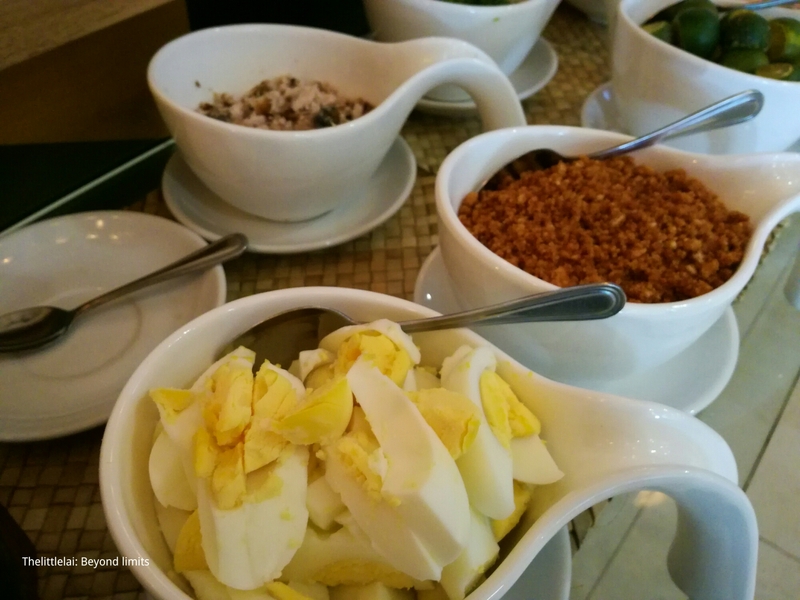 I stayed at the Peninsula in manila and had an amazing breakfast every morning. Cebu is next on the list! I would love to eat all of these! These are the Filipino dishes that I am always so happy and eager to eat. They just taste really good! The Php228 is fair enough considering the fact that they have good presentation. Wow!!! I love all of them! The most intriguing is the puto with a sweet mango. I haven’t tasted or imagined how will it taste, but I hope it is good. 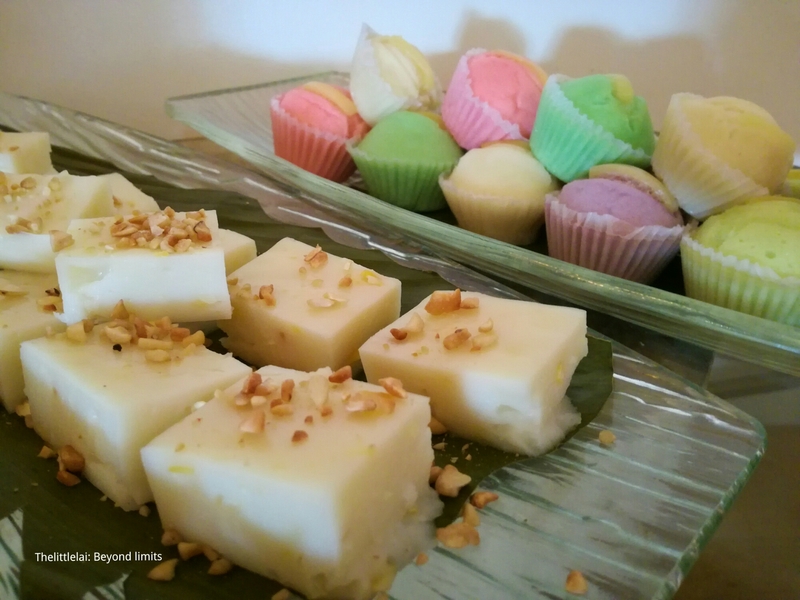 The hotel is also nice offering these Pinoy meriendas that we all love. I hope i can taste all of them once I get to visit Cebu! All the food (and the hot chocolate) looks delicious! The hotel looks like a lovely setting in which to sample these delicious treats. This all looks amazing! I love trying new foods when I’m away and I tend to try and eat little bits like this so I can have room to try everything! Yum! Although I also like a lot of foreign cuisines, I love the traditional Filipino cuisine the most. Must be the sentimentality also aside from the flavors. I grew up tasting a lot of good local dishes because my grandmother was a good cook. I naturally became drawn to cooking because of her. Filipino merienda is something I really crave especially when I am in Denmark. I love the sticky rice with mango a lot. It’s similar to the dish from Thailand no? Anyway, give me anything sweet and I’ll gladly chow it down with so much gusto. The food looks so yummy! I am always searching for traditional food when I visit a place and these days it is so hard to find. I would like to try the Polobak and the torta cebuana, they sounds really delicious. Wow this made me hungry haha… It’s still half an hour before our lunch break. Anyway I love Filipino merienda, pretty much everything you posted here. My favorite are banana cue and maja blanca. I like that our local snacks are savory and satiating. 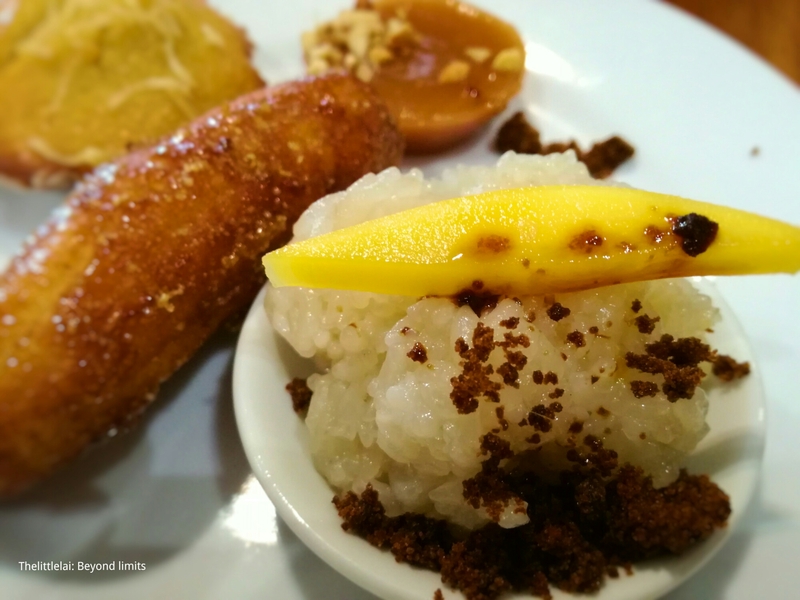 I don’t know much about Filipino food or merienda but these photos have me drooling! Asian food is my favourite cuisine so I’m sure I would love everything over there! I’m from Malaysia & a lot of this looks similar actually, looking forward to going crazy on the food when I visit the Philippines next year! I think I would love to visit this year! Kutsinta.. but I was curious with the one have mango on the top..
Golden Prince is really pushing their ads in radio stations! I hope they make this a reason to go there. I have not tried those desserts. But they look very tasty. I should try them if I ever go over there. The photo’s are beautiful also.